The shelves here at Japan Exposures are literally crashing to the ground under the weight of all the various books we have. (Note to any budding photo book collectors — IKEA bookshelves will NOT cut it. Budget for quality bookshelving.) Given this situation, the Minister of Storage has started upping the volume on the perennial question (and I quote), “Do you really need all these &%#@-ing photo books?”, and has issued strict orders to clear some space that our books are occupying in the living room, the bedroom, the children’s room, the toilet, well you get the idea. So, taking a page from Japan Exposures Exotica, where we sell different cameras and such that we pick up here and there, we’re going to start doing something similar with books. On a regular basis we’ll be putting up a book or two in the store. These books will be — as the saying goes — priced to sell. Think of them as “real books for real people at real prices” or something like that. 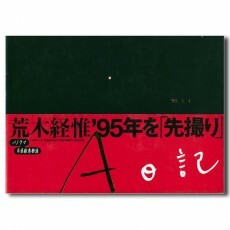 We’re starting off with one of Nobuyoshi Araki’s 450 (or whatever it’s up to now) photo books, published in 1995 and in very nice condition, the obi intact, etc. A diaristic record of 1995, in chronological order — or so you would think (more on that in a moment). Photos are in panoramic format, and all are taken with date imprinting. Most pages feature two photos on a page, so this book is jam-packed with candid photos from just about every day of the year. All photos are in color, and every page is full bleed. Robert Frank and Nan Goldin put in appearances, as does Araki himself. And many, many models. Many of those models are, surprise, naked, but this is not one of those books. 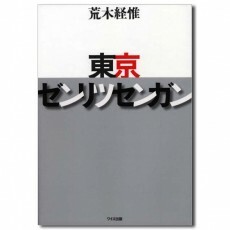 There is a short essay — Japanese only — by someone with the last name of Ito at the back of the book. According to the book’s essay, from the massive collection of date-imprinted photos, Araki and his editors assembled a seemingly chronological record of 1995, and that is what A Diary is. To be perfectly honest, it’s a great story but we’re not buying it. It has an apocryphal — or April Fools — ring to it. 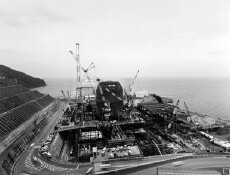 Was there a panoramic camera with date imprinting in the early 80’s?. 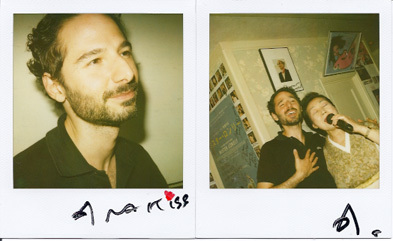 We think it’s more likely the book was shot in 1994 — after all, that’s when Goldin was in Japan working on Tokyo Love, Spring Fever 1994 with Araki — with the concept already decided upon. This is not a much so ught after or rare Araki, as far as we know, so no need to rush to the Buy Now button just for collecting’s sake. And if you are more into the not-safe-for-work Araki, you may be disappointed. Nevertheless, we like it because it seems to have the right balance of “take a picture of anything that moves” and Sentimental Journey intimacy. We’re selling it because it’s chunky and stylistically overlaps other Araki books we have. 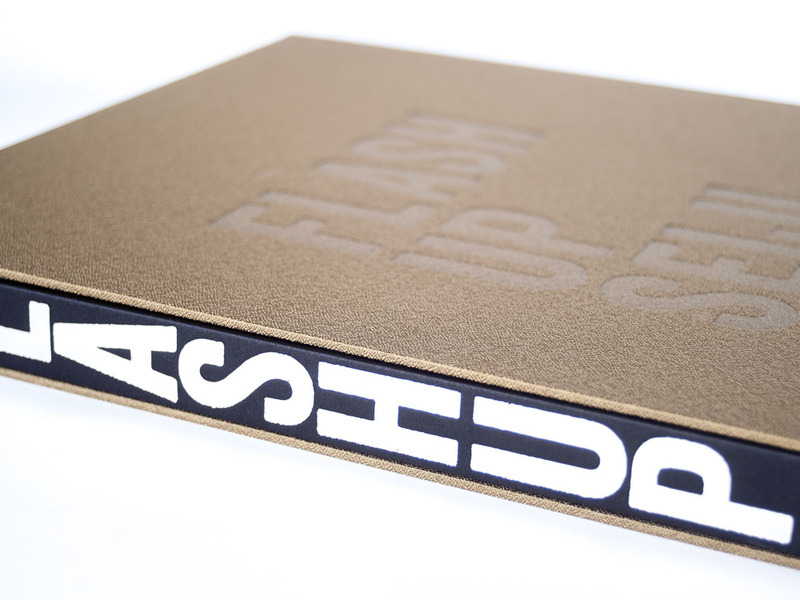 Some surface scratches and wear to obi and dust jacket, but very minimal. Haven’t searched this one on the web recently, but when I did I saw one copy for $80, and another for $350 (admittedly that one is signed, but still…). 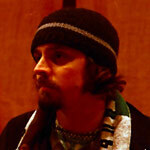 Ivan Vartanian is an author, editor, and book producer who has been based in Tokyo since 1997. 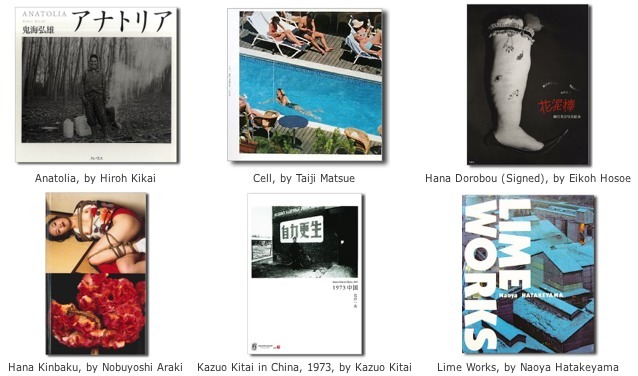 Later this month, two publications will get added to a growing list of books he has been involved with: Japanese Photobooks of the 1960s and ’70s and Yasuzo Nojima: Modern Photography. Ivan has also written, co-authored, and edited numerous illustrated books on art, photography, and design, including Setting Sun: Writings by Japanese Photographers and Style Deficit Disorder: Harajuku Street Style – Tokyo. His company is Goliga Books. I recently sat down with Ivan in Harajuku to talk about his latest books and ask him about his other publications over the last few years. Interview by Tyler Ensrude for Japan Exposures. Japan Exposures: So where are you from originally? Where did your interest in photography come from and are you a photographer yourself? Ivan Vartanian: Well, I grew up in Queens, New York. I have no formal education in photography, actually. I have a B.A. in biochemistry from New York University. But after I graduated I got a job interning at the Aperture Foundation (New York) and was eventually kept on as an assistant editor in 1997. Then after a year or so, a Japanese publisher, Korinsha Press (Kyoto), co-published Michiko Kon: Still Lifes with Aperture and I was basically the Aperture side liaison for that project. Through that I got to know Korinsha and they eventually offered me a job to come to Tokyo. And, no, I am not a photographer and I only just recently purchased my first camera – a point-and-shoot pocket camera. JE: This job offer sparked your interest in Japanese photography, I’m guessing? 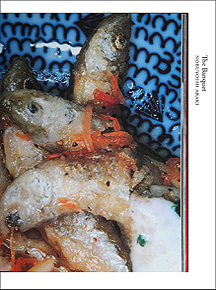 IV: The main reason why Aperture did that co-publication together was because I was interested in Japanese photography. I worked here in Tokyo as a book editor at their international desk until about 1999. Since I was the only foreigner at Korinsha, I was responsible for all their foreign clients, publications, and distribution. This included selling co-editions to other international publishers. That put me in this bizarre position of creating book projects and then also trying to place them with foreign publishers. I went from being an editor to also serving as the salesperson for my own projects. JE: Wow, that’s a pretty intense position to take on right away in foreign country. IV: Yeah, I was totally clueless and terrified the entire time. It took about ten months for the ringing in my ears to stop. On top of which, my Japanese was pretty bad when I first started. Just when I was getting settled, Korinsha went bankrupt in 1999 and I was left in the position of having created book projects for which I had sold publications rights to foreign publishers. After the bankruptcy, the clients to whom I had sold rights suggested I package the books for them myself. That meant completing the production of the book—printing, binding, and delivery—and paying everyone myself. So that’s how I started this whole book packaging, entrepreneurial thing. My involvement in photography, of course, started with Aperture and at Korinsha they were both publishing a lot of fine art, including Japanese photographers. So that gave me some entrée into that world. JE: What were some of your major publications after leaving Korinsha? IV: With Japanese photography, the first book that I made on my own was Setting Sun: Writings by Japanese Photographers (Aperture, 2005). 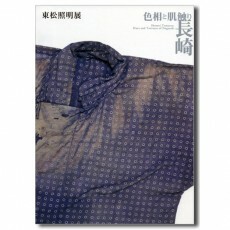 I anthologized and translated writings by Japanese photographers. I made that book because, while at Korinsha, the photographers we were working with would submit lengthy texts as accompanying elements to their photography. 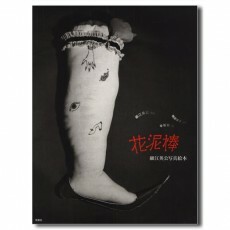 Plus, Heibonsha—just at that time—was publishing the multi-volume compendium of writings by Nobuyoshi Araki. 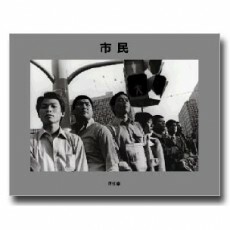 I noticed there were numerous text-only books by Japanese photographers out in the market. It was really remarkable to me that they were writing so much because at Aperture even to get a list of captions from a photographer was like pulling teeth. Nobody seemed to want to write anything, or to commit to putting any words on paper, I should say. Eugene Richards was a huge exception. I became very curious as to what these photographers were writing about so profusely. I soon came to realize that what these photographers were writing was quite integral to their photography as a whole; it was part of the project and the process of photography. Words and images were quite closely linked in Japanese photography. This was also in part due to how these photographs were being reproduced; magazines, newspapers, books, to be specific. On the printed page, a photograph could be buried in a sea of words. 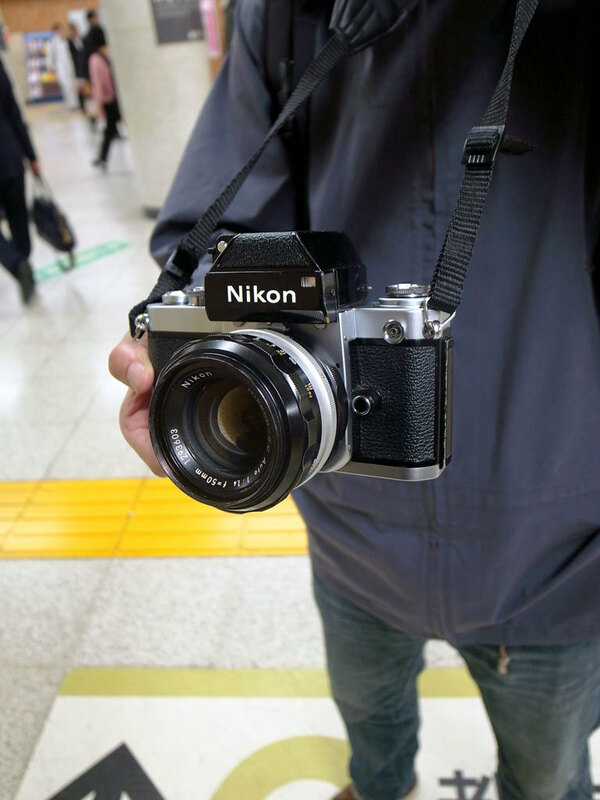 We see this from a lot of post war photographers such as Ihei Kimura or Ken Domon. IV: Yeah, so these photographers, by our standards, were, yes, basically reporters, covering a story. They were producing their own shoots and providing a story. That is, the information that is provided by the photographs. This was also true with some French photographers a bit earlier, but it was quite prevalent in Japan. The writing varied from reportage to historical/personal history. Or it was a meditation about the work itself. More often than not, photographers up until the last generation were quite adept at writing and wrote extensively. So that’s the main reason I wanted to make Setting Sun, I wanted to make more sense out of these texts. After translation, it became apparent that viewing Japanese photography as isolated images was tantamount to stripping bare the project and looking only at one aspect of the photography. This is particularly true of photobooks. In creating Setting Sun, I was trying to provide western readers a means to have some sense that the image functions in a larger body. 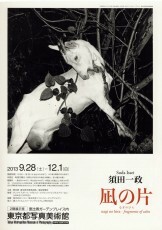 JE: Setting Sun has a photograph by Araki on the front cover. What of his writings were included in the book? IV: The book does include some of Araki’s essays, talking about how he photographs, why he photographs, what he photographs, the effects of the death of his mother, his father. Apart from essays such as this, the nature of the other texts included are quiet varied. One short text is a meditation on a text by the poet Basho. Hiroshi Sugimoto’s text discusses time. 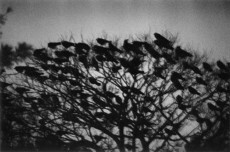 Daido Moriyama’s text is the story on how he produced one of his early series about hitchhiking. 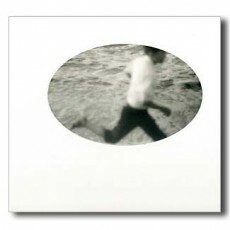 The photograph in Japan doesn’t exist in a vacuum, isolated from other elements. Context, as provided by texts or the medium by which the image is distributed, is integral. JE: I noticed on your site that you have done more than just photography books. 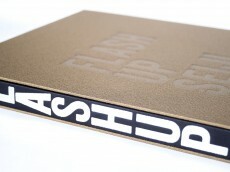 Some design-related books, and other forms of art. Tell me a little bit about that. IV: I’m very interested in other genres apart from photography. Especially books on architecture and even books on science, but these are subjects and projects that take a little longer for me to develop since those fields aren’t my specialty, but I hope to make more books in these areas in the future. I’ve always been interested in all visual arts…performing arts too. So the advantage I’ve had by working for myself with book packaging is that I’ve been able to do any book that I want. If I decide to do a photography book, I’ll find a publisher who has a strong sales presence in photography. Or if I want to do a design book, I’ll find a publisher with an established design reputation. I really like to focus on art on paper when it comes to writing books, so for design, almost anything goes. But for photography, I’ve mainly only been interested in Japanese photography. And there is no better source for books on photography than here in Japan. This really became most apparent to me after making Setting Sun. The photobook, itself, has such a big place in Japanese photography…. JE: We’ll talk more about that in a moment. But first, I’m really interested in your book on Yasuzo Nojima. Tell me a little bit more about that before we jump into Japanese Photobooks of the 1960s and ‘70s… So is the Nojima book currently out now? IV: Nojima reached the publisher warehouses last week, and it was previously only available for sale in at the National Museum of Modern Art, Kyoto, since they had an exhibition of his photographs in their permanent collection. JE: Does Nojima have any published books of his own? I don’t think I’m aware of any. IV: Nojima did not have a monograph that he edited on his own. There is one publication that came out posthumously that was made by a circle of friends and colleagues. It was more of a remembrance. There was one exhibition catalogue that came out about ten years ago from the museum in Kyoto after they received the trove of his vintage prints. Even though Nojima never made his own photobook he did publish a periodical called Koga. It was a magazine devoted to new modern photography. He was the publisher and benefactor of this project but it was only a short-term enterprise. Other than that, that’s it, in terms of book publication. So essentially, this book that I made is his first monograph. What’s more, it’s the first time the tones of the original prints have been faithfully reproduced. Nojima used a variety of printing techniques, each of which had its own tone. JE: Is this the main reason you chose to make a book of Nojima’s photography? IV: Yes — and I love the work. It’s really beautiful. He’s almost totally unknown. I thought I could bring something to the conversation of contemporary photography by showcasing this particular body of pre-war work. He was an amateur photographer, a lot of photographers from that area were amateur photographers. This was also interesting to me. So I wanted to do the Nojima project for this reason, instead of doing a book on a body of work by an established photographer who had made a career of it. Nojima was a wealthy man and did photography simply as a hobby. Once in a while he had an exhibition, but nothing really that would define him as a photographer. So what that means is that his work is kind of all over the place. But he was photographing for quite a while, so over time, his printing techniques changed, his cameras changed, the models changed…even though there are only 250 artifacts remaining of his work, it’s quite spread out. So I basically wanted to try to bring it together in this book. JE: Most of his work is located in Kyoto? 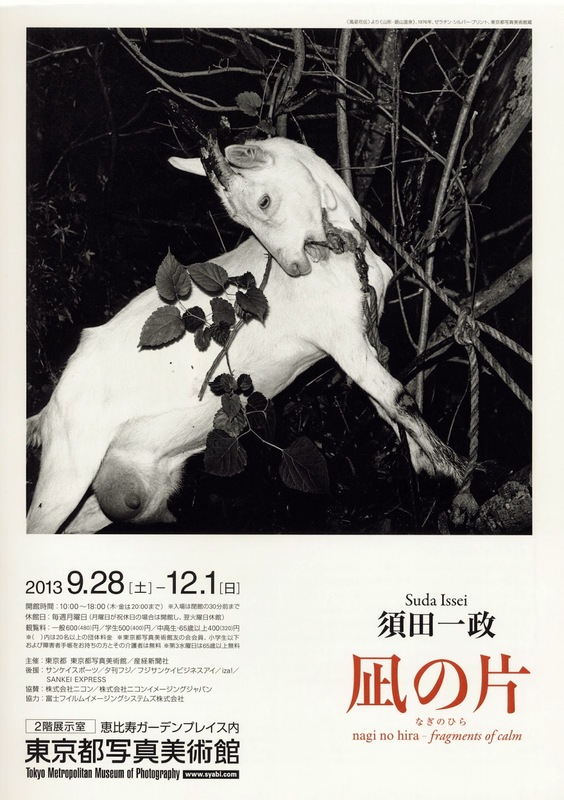 IV: Almost all of his vintage prints are in Kyoto, there is a trove of archival material at the Shoto Bijutsukan in Tokyo which is where there will be a show opening from late-September. There’s a print here, a print there, but, yes, it’s mostly concentrated in Kyoto. JE: So tell me a little bit about Japanese Photobooks of the 1960s and 70s. 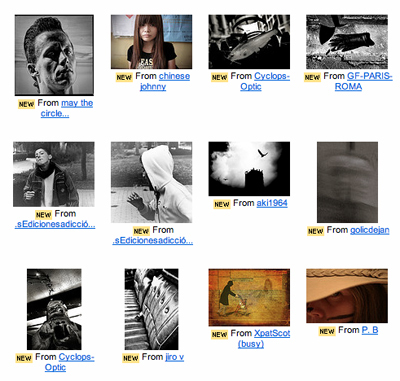 You listed some of the photographers included in the book on your site. Did you work directly with any of these photographers? Are there any direct contributions or is it all biographical studies into the specific books that you chose? IV: I did talk directly with several of the photographers. 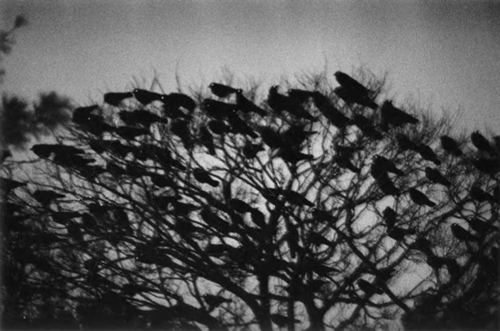 I worked a lot with Eikoh Hosoe, Miyako Ishiuchi, Daido Moriyama. The book has a long interview with Moriyama, actually. The best help I got was through my co-author, Ryuichi Kaneko, who is a senior curator at the Metropolitan Museum of Photography here in Ebisu. He is the authority on Japanese photobooks. This is mainly because he’s been collecting this material for 40 years, he personally knows all the photographers and also works with them directly as a curator. He’s always attending their exhibition openings. He also often receives photobooks directly from the photographers. On top of this, he holds the credentials of a scholar in the field. So, what I couldn’t get through the interviews and meeting with the photographers directly, I relied on him for decades of personal involvement and expertise on the material. There were times that I’d be sitting with him and discussing some of the books, and I thought I was being so insightful, really getting at something essential and then Kaneko-sensei would say something like “You’re way over-thinking it.” He’s been an amazing influence on me. JE: [Looking through a proof copy of the book] And are these books in any particular order? IV: Yes, they are pretty much in chronological order. We typically chose one book (from a certain photographer), but sometimes two. The reason why I decided to focus on one book is because it’s not a catalogue. I wanted to make a book that was showing readers how to read a Japanese photobook. And that’s one of the major differences between this book, and what Martin Parr and Gerry Badger’s book did, which was hugely important in establishing the photobook as a viable genre and is an excellent source for some otherwise inaccessible rare books. Here and there you see some serious interests about Japanese photobooks happening, like in that book (The Photobook: A History, Vol. 1 and Vol. 2), and it’s growing. But rather than show 200, 300, or 400 books, I really wanted to slow it down and through looking and various types of photobooks—the series-driven book, the memoir, the document, the meditation on form, the nudie book, etc. I wanted to give the readers a guideline for how to work with the object itself, what elements to look for and how to synthesize a comprehensive reading of the photobook. It’s more fun when you can appreciate all the details. JE: Martin Parr is a major collector of photobooks. Are you as well? I would assume you have a few nice Japanese photobooks? IV: Yes, Parr certainly is a collector. But, no, I’m not one. I try to avoid bookstores actually. As someone who makes books I can’t walk into a bookstore and not get overwhelmed by all the great ideas I wish I had made myself. JE: So, from the eyes of a novice in the Japanese photobook world, how should we look at a Japanese photobook? Is there something we should be looking for? What should we be thinking about while reading your book? IV: Well, after you’ve read through the text that I’ve written, it shows what aspects you should be paying attention to, what you should be considering while looking at a Japanese photobook. There is a lot of wishy-washy writing about Japanese photography, but there is so much to be said and so much to be understood. So, apart from helping the reader learn how to understand Japanese photography books, I want them to know how essential it is to Japanese photography. It’s very different from western photography, which has this idea that photographs must exist as a print. 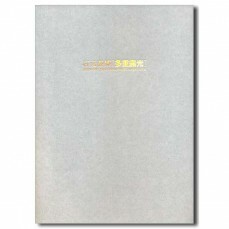 Japanese photography, in its ultimate form, is the photobook. Communicating that simple idea, to even a Japanese audience, is the main homework of this project. And you’d be amazed how revolutionary that idea is to people who are well versed in photography in the West. Another way of saying it is that… [points to the book proof ] … this is a facsimile, this book is a facsimile of that work. So the books included in this book are not facsimiles, these are originals. That one subtle shift in the way we look at the book is so important. It’s like an edition in and of itself; the book becomes an original print. No one image is more important than the other and in the photographer’s eyes, the prints themselves, which are going to make the book, are useless. They have no value other than the reproduction at the printing plant. So the photographs as a collection don’t exist beyond the book. This can be true of non-Japanese photobooks as well but it’s taken to an extreme with Japanese photobooks. JE: So you’re saying, as far as Japanese photography goes, we need to put more emphasis on the book and stop worrying so much about the prints? How about modern day exhibitions of old photographers? Being that galleries and museums have gotten better, has that changed anything? 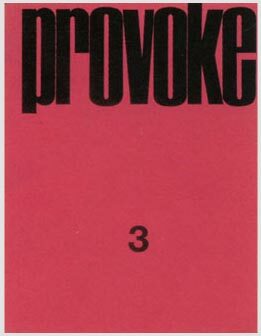 IV: Even if you have an exhibition of the work, the photographer takes the prints and warps them or blows them up or crop them; they’ll change the contrast; they’ll mount them/not mount them, so that the work that is shown on the wall almost bares no resemblance to the work as it appears in the book. And, also, photographers go through such a process with the design and the printing that the printed (book) image is very different from the photographic print. It still doesn’t convey the feeling from the book. 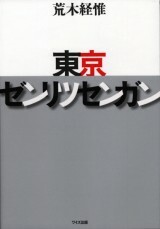 JE: Yes, with your mention of “the process” that goes into design, I can’t help but imagine the books of Kiyoshi Suzuki. Would you say that after John Szarkowski opened the doors to the rest of the world with his exhibition in New York in the mid 70s of Japanese photographers, that this changed a westerner’s view about Japanese photographers and the photobook as well? IV: Yes, Szarkowski did that exhibition with Camera Mainichi’s Shoji Yamagishi. He was a massively influential editor. But he did have reservations about showing Japanese photography out of context, like as a single image, because when you isolate an image from its larger collective, it loses meaning to a great extent. Every photo is like an artifact. They all support each other. It’s almost unfair to ask a Japanese photographer from that era to isolate one print. Whereas in the west, generally speaking, there is a predominance of the single image. IV: Yes, it’s basically a “decisive moment” type photographer. JE: Well, this book looks really great. Is there an official date this comes out? I noticed it’s been pushed back a few times. IV: It took us years to complete this book. But I am happy to say the book arrives in New York on September 18th, so sometime around the end of September. [As of this writing, it looks like the book has been delayed again until November. — Ed.] There are three different editions—English, Japanese and French. The French edition will be published in October and the Japanese edition in October as well. I’m looking forward to seeing how people react to it. 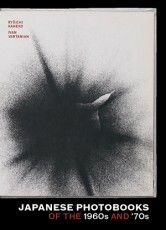 You can read an early review of Japanese Photobooks of the 1960s and 1970s at 5B4. 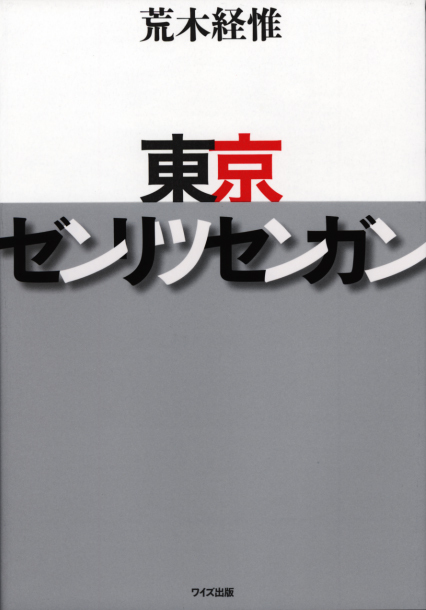 At Vartanian’s Goliga Books site you can read what others are saying (scroll down), see what Daido Moriyama thinks of the book (in Japanese), and see a short video preview of the book. Tyler Ensrude is a contributing photographer and writer from the U.S. currently residing in Tokyo. His work can be seen at www.tylerensrude.com and www.tylerensrude.blogspot.com. I had heard earlier this year that Nobuyoshi Araki was not in good health, and the recent lack of Araki news and new photobooks from the man who has been so prolific up to now seemed to bear that out. Now, on the occasion of his new photobook, Tokyo Zenritsusengan, Araki has revealed to the public at large what only his close friends and associates knew — that he was fighting a battle with prostate cancer. Diagnosed and successfully operated on in the summer of 2008 , Araki took his plight in typical Araki style, seeing it as a rare opportunity to bring his camera along with him to the hospital bed. It is well-known that Araki lost his wife Yoko to ovarian cancer in 1990, something he documented in the work Winter Journey. But this time it was Araki who was the patient. The result is the just-released photobook Tokyo Zenritsusengan (zenritsusen gan is Japanese for prostate cancer), published by Wides. Araki used his chance to take photos of the nurses attending him, including the rookie nurse who had to shave his pubic hair, revealed Araki in a recent interview. (She posed while clutching the shaved hair in her hand.) There are also Araki self-portraits of himself wearing an oxygen mask after the surgery was done. While awaiting release from the hospital, Araki would take walks around Tokyo’s Ochanomizu area where the hospital was located, and these snapshots are included in the book as well. Araki — who continues to undergo blood tests every two months to monitor his health condition — will also publish an “experimental” photobook at the end of the year with the ironic title “Posthumous Work: Empty 2”. Tokyo Zenritsusengan is available in the Japan Exposures bookstore.